Four-piece Australian alternative rock band With Confidence have announced the release of their debut full-length album, Better Weather, on Friday 17th June. Today the band also releases a new song and music video for the single Keeper. Formed in 2012 in Sydney, ​With Confidence is lead vocalist/bassist Jayden Seeley, backing vocalist/guitarist Inigo Del Carmen, guitarist Luke Rockets, and drummer Joshua Brozzesi. The band’s sophomore EP Distance was released on January 13, 2015 and received an overwhelming response from fans. This helped the EP skyrocket to #2 on the iTunes Alternative charts and #10 on the overall iTunes albums chart. The four-piece’s popularity is a product of solid touring and hard work, previously supporting the likes of You Me At Six, Tonight Alive, Neck Deep, State Champs, Real Friends, The Maine and more. 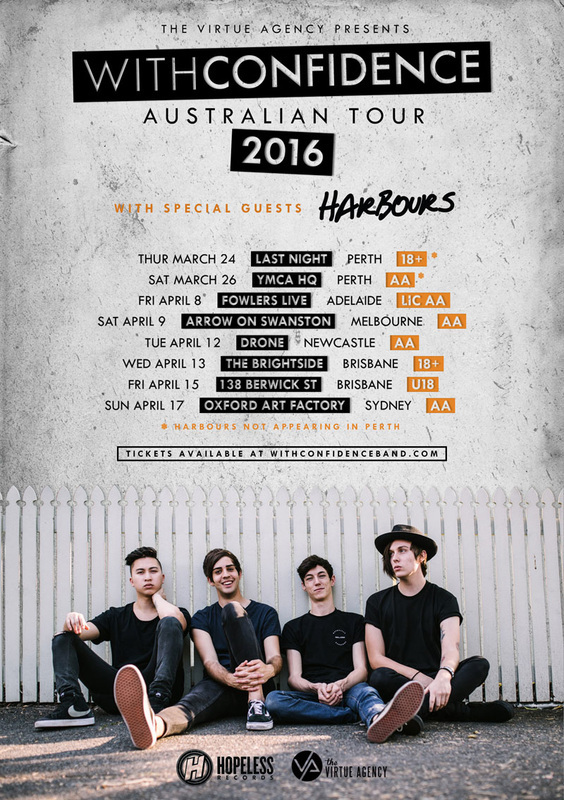 Currently, With Confidence are headlining dates throughout Australia with Harbours before heading over to Japan to support label mates The Wonder Years and ROAM later this month. Straight after the boys will jump on a plane to the UK to tour with As It Is and play Slam Dunk festival and then cross the ocean to the US to spend the summer on Vans Warped Tour. Better Weather is available for preorder via 24 Hundred and iTunes.